We affirm our commitment to inform, empower and entertain our audience in Phoenix, while providing 360° solutions for brands looking to extend their reach and impact across multiple platforms at the local level. Univision Local Media in Arizona is the #1 Hispanic media company serving the 1.6 million Hispanics with $23 billion in spending power in the Phoenix DMA. With two television stations, four radio stations, a variety of digital/mobile/social touchpoints, and community outreach, Univision Arizona is seamlessly able to execute its mission: To serve and connect Hispanic America’s local communities. Everywhere. Anytime. KTVW Univision Arizona is one of the most watched TV stations in the Phoenix DMA, regardless of language, and ranks as the #1 Spanish-language station among Hispanics in the Greater Phoenix metro area, northern Arizona, as well as the following counties: Maricopa, Pinal, Gila, Yavapai, Coconino, Navajo, Apache, La Paz, Graham, Greenlee and Mohave. With Emmy award winning local newscasts airing seven days a week, Univision Arizona provides continuous coverage on the current issues that matter most to the Hispanic community. KFPH UniMás has quickly emerged as oftentimes the 2nd most watched Spanish-language television station, offering counter-programming with sports, reality, drama series, and movies. Univision Radio Phoenix is the largest radio cluster serving Hispanics in Phoenix. Qué Buena 105.9 (KHOT-FM) is the Valley’s favorite Spanish language Regional Mexican station, targeting Hispanic adults 18-54. Amor 106.3 (KOMR-FM) is the top Spanish Adult Hits station in Phoenix, targeting the mature adult listener who loves Latin hits from the 70s through today. Latino Mix 100.3 (KQMR-FM) is the exclusive station for the young, bilingual Hispanic listener in Phoenix, playing today’s hits. Univision Deportes Radio 105.1 (KHOV-FM) is a newly launched sports radio network that is home to the Arizona Diamondbacks and Arizona Cardinals in Spanish, designed to give Hispanic listeners the sports content they passionately seek. 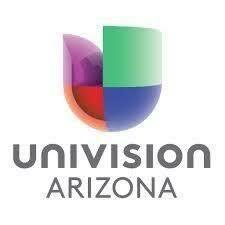 Let us show you how advertising with Univision Arizona in Phoenix can help you grow your business. Contact Alejandra Santamaria, President & General Manager at asantamaria@univision.net or (602) 232-3519.